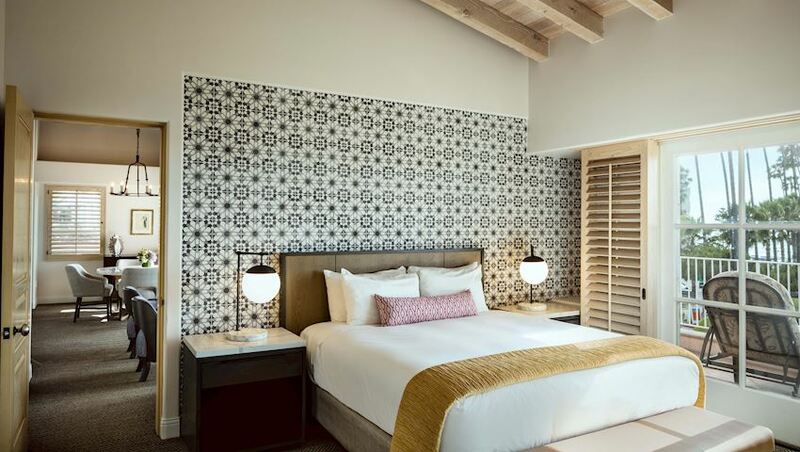 Globally appealing and culturally refined, La Valencia's newest room category is luxury at its peak. 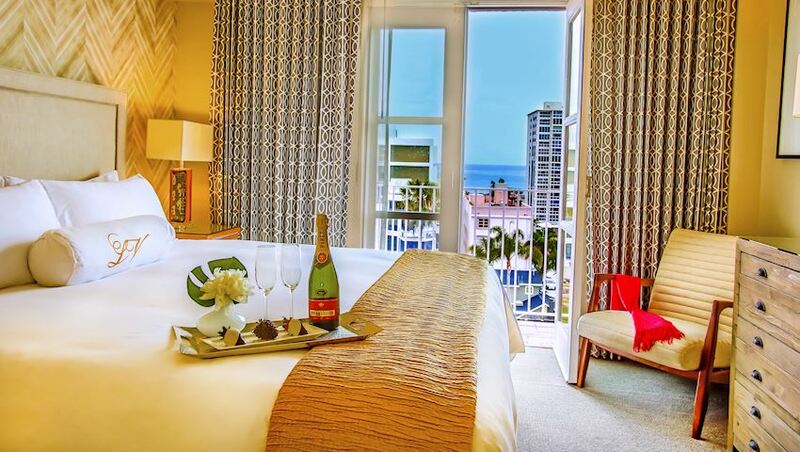 The ICON Collection offers five breathtaking coastal retreats, including the Art Deco inspired Pacific Suite, the secluded La Valencia Suite, and the Sky Suite, a private penthouse with sweeping views of La Jolla Cove and the Pacific coastline, and Riviera and Sunset Suites, both perfect for entertaining. The ICON experience includes a welcome amenity from the Chef and fresh floral welcome arrangement,. 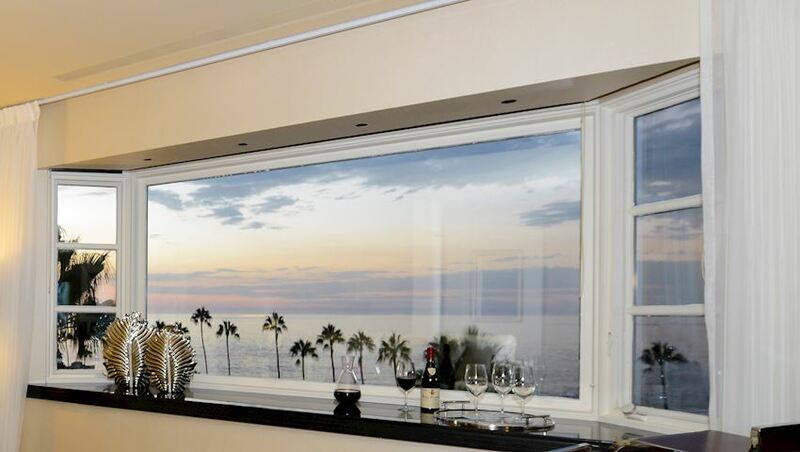 Located on the 10th floor this penthouse offers 180-degree ocean views. Designed as a modern version of the chic silver screen Hollywood era, this 800-square-foot suite boasts a hardwood floor entry which spills into an open living and dining room with a large wet bar. Unique décor includes black and white period photography and designer mosaic tiles. 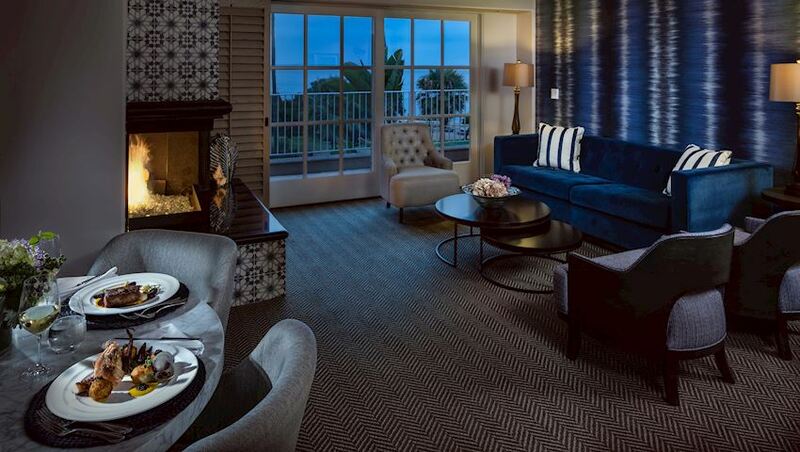 Art Deco inspired décor epitomizes this spacious suite with double door entry, polished stone foyer, and a separate black granite powder room. 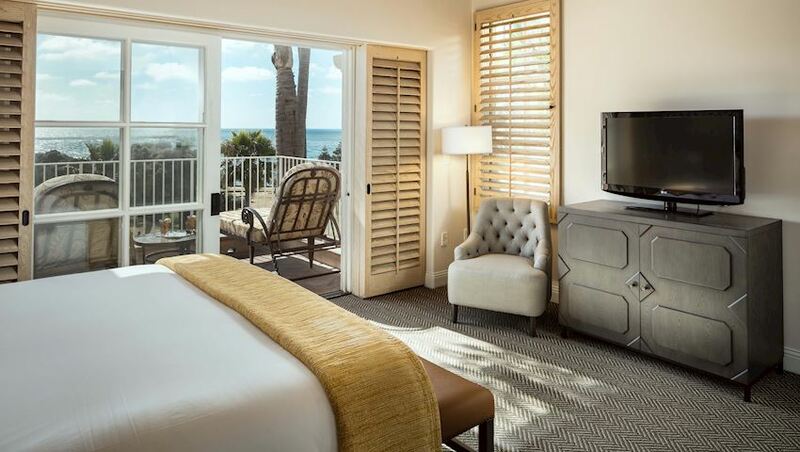 Located on the top floor of the private Cabrillo Wing this suite boasts beautiful ocean views, a master bedroom, living area, and a granite dining table for 4 with an expansive bay window - a perfect location for entertaining. 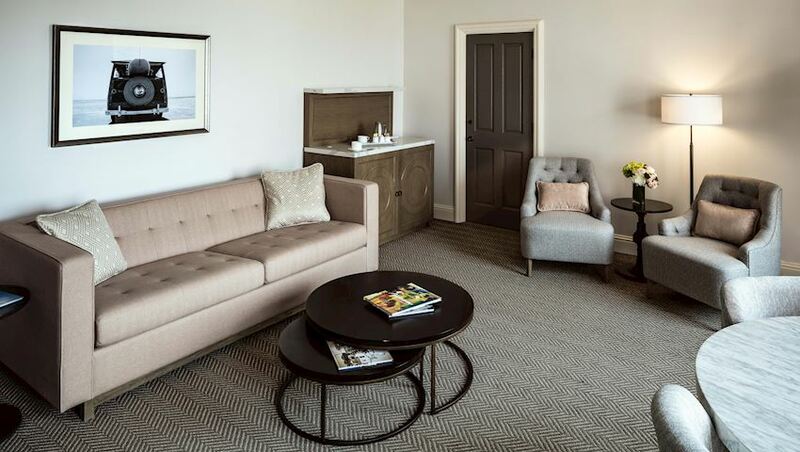 This luxury suite offers secluded coastal resort living with over 1,000 square feet of space, designer furnishings, and ocean views from every room. Vaulted open beam ceilings highlight the living room, dining area and bedroom which all open to a spacious 250-square-foot wraparound terrace with outdoor fireplace and lounge furniture. Premier ocean facing classics with generous living space perfect for entertaining. 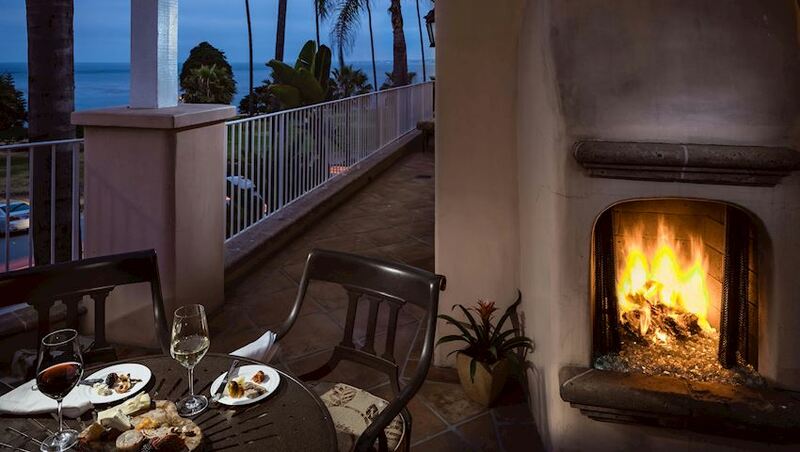 Located in the original Sevilla wing, these suites offer living room with sleeper sofa and marble dining table for 4 along with a separate ocean view king bedroom. 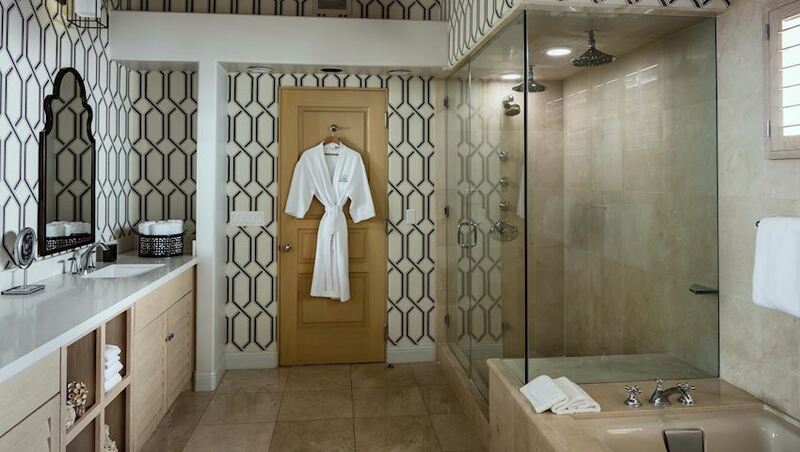 The bathroom is crafted in timeless white porcelain ceramic with granite finishes and features a combination soaking tub and shower. 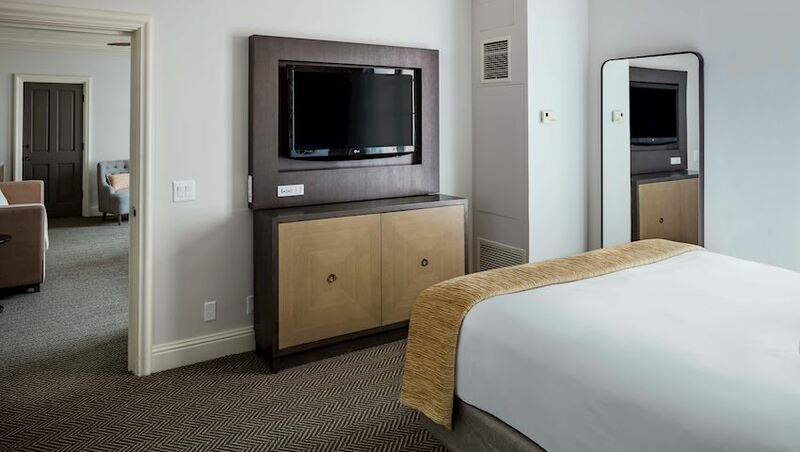 Each one bedroom ICON suite has the option to reserve a connector to a Classic ocean facing junior suite.